Beloved hip-hop performer, promoter, and one of the founding planners of Portland’s Hip-Hop Day, Idris O’Ferrall, who went by the stage name “Starchile,” died Thursday at the age of 42 from complications of central nervous system lymphoma, a cancer that was diagnosed last month, O’Ferrall’s father said on a Facebook post. Born and raised in Portland, O’Ferrall began rapping in the 90s as a Wilson High School student and went on to run his record label, host TV and radio shows, and then became a concert promoter and emcee. He teamed up with the Trail Blazers’ DJ O.G. 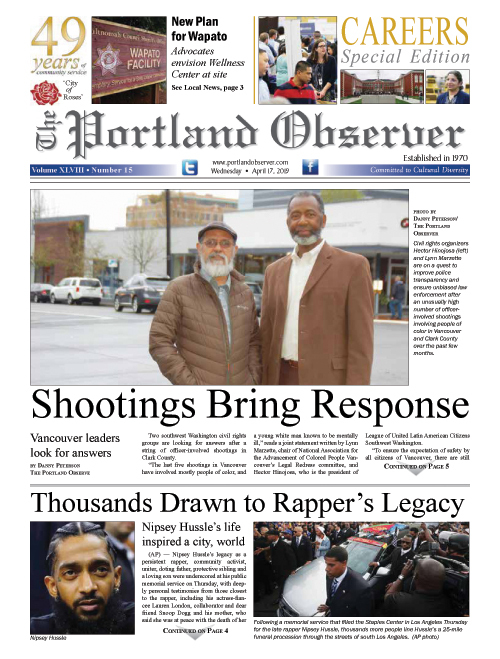 One to organize Portland’s first Hip Hop day at City Hall in 2015 to build bridges between musicians, fans, and community leaders in a city that has faced criticism for excessive police presence at hip-hop concerts in years past, according to an independent police review from 2014. In the past two years, O’Farrell was also known to help keep the culture of hip-hop alive by hosting a long-running showcase of talented local performers in the genre, Mic Check at White Eagle Saloon in north Portland, an area hit especially hard by gentrification. The Twitter account @MicCheck_PDX found many members of the hip-hop community mourning O’Farrell’s passing. A Go Fund Me crowdfunding campaign, “Medical Support For Starchile,” was started to help his family deal with the high medical costs his illness has accrued.